Having a good business partner can mean the difference between success and failure. The right partner will be able to help you to expand your business and grow to levels that you wouldn’t be able to reach if you were on your own. Not only that, but you’ll have twice as much manpower when a difficult project comes up, which can be incredibly useful when it’s crunch time. However, in the long run a bad business partner can do a lot more harm than good. You may end up spending more time squabbling over small details than actually getting work done. That won’t benefit anyone and it will lead you to become frustrated and resentful. To help you avoid that situation, here are five things to remember when looking for a good business partner. This could be someone like a friend, family member, or relative. 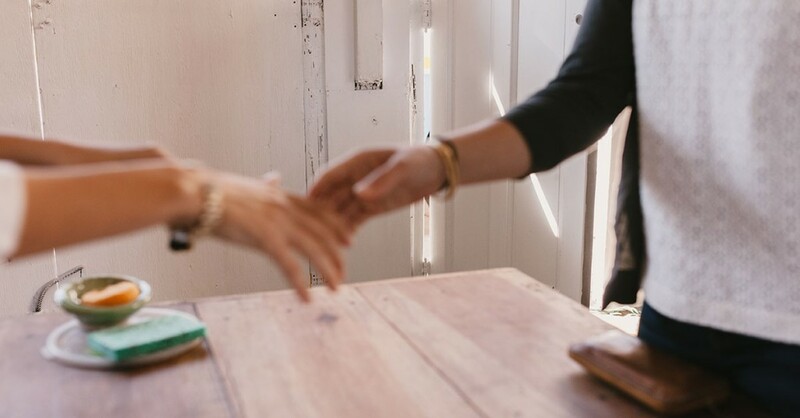 While this advice may be controversial, there are more benefits to working with someone that you know as opposed to partnering up with a stranger. The most obvious benefit is that you’ll already have some idea of their personality, and you’ll know whether you’ll be able to successfully communicate with them. In business just as in almost all areas of life, communication is crucial. If you pick a partner who you can communicate well with that can make up for a lot of potential shortcomings in other areas. This is a good reason why it can be to your advantage to work with someone you already know. If you pick a stranger, or near stranger, to work with, you might not know how well you’ll be able to communicate with each other. The importance of finding someone with whom you share a common goal cannot be understated. Ideally you should be getting into a business partnership for the long term, and you don’t want to enter into this relationship with someone who has different plans than you. For example, if you have the ultimate goal of building your business to the point where it generates in excess of $1 Million dollars a year, than it won’t be any good to partner up with someone who is happy to generate $250,000 a year and then take the rest of the time off to play golf. This is similar to point number two in that you don’t want to get stuck with a partner who is not willing to work as hard as you. If you’re a hard worker you may not mind taking up the slack in the short term in order to grow the business and achieve the results you want. However, if your partner continues to produce less than you, resentment will grow and it can easily lead to an unbridgeable divide between the two of you. The easiest way to tackle this problem head on is to actually work with a person before you enter into a business relationship with them. That way you’ll be able to see how well you work together, and what kind of division of responsibilities you are capable of handling. In fact, you may even find that a potential business partner works too hard for you! If you have a family, or don’t have time to put in more than forty hours a week, it won’t work for you to be partnered with someone who expects you there every weekend, and to work till seven on the weekdays. Find someone who shares a similar work ethic and you’ll be a long ways towards finding a partner who you work well with. A great example of this is the relationship that existed between Steve Jobs and Steve Wozniak. In this business partnership, Jobs was the charismatic salesman and Wozniak was the talented programmer who knew how to make a computer. If Jobs wasn’t a gifted salesman, Apple computers wouldn’t have grown to the level that it’s at today. However, if Wozniak hadn’t had the technical skills to actually build the computer, Jobs would have had nothing to sell. It’s true that they did have overlapping skills, as Jobs was a talented designer himself. However, ultimately he needed Wozniak’s superior technical skill. This is why you should consider finding a business partner who has a set of skills that compliment yours. Maybe you’re awesome on the phone and can sell a palm tree to the city of Miami. If that’s the case, then you should consider looking for a partner who is more technically minded and better at handling the back end of a business. The details may change from industry to industry, but the idea remains the same. If both you and your partner share a very similar skill set, it can be exciting in the short term, but in the long term you may find out that both of you are incapable of handling certain parts of the business and your revenue flow may falter because of that. No matter how optimistic you are about your product or service, it’s important to accept the reality that a majority of new businesses that start up fail. This is an unfortunate fact of life. That’s why it’s important to carefully go over the finances of the business with your partner before you start working together. You should find out how much he or she has to invest, what their risk tolerance is, and how much they can afford to invest without having it become a major financial detriment to their lifestyle. Furthermore, you should also find out how your potential business partner handles spending. This may not be an explicit question, but it should be fairly easy to figure out. If you know your potential partner’s income, and they seem to be living well outside of it, than you can get a good idea that they look to spend more than they make. Or it could be the other way around. Either way doesn’t have to be a deal breaker, but you should be aware of it beforehand so that you can deal with any problems that it may cause. 9 Time Wasting Habits and How to Stop Doing Them Does Your Business Really Need An Office?